The WarmlyYours TempZone™ 3.7-Watt Floor Heating Cable allows you to bring radiant warmth to any room. TempZone™ Floor Heating Cable (Twin) is ultra-low EMF by design. It features a twin conductor with a 15’ cold lead and is available in two voltage options and a range of lengths to meet the requirements of any installation. In 120V, we offer lengths ranging from 30 to 432 linear feet . For 240V, our lengths range from 55 to 864 linear feet. Now this classic floor heating product is even more versatile because you can pair it with the Prodeso Cable Installation Membrane, an uncoupling and crack isolation membrane with rounded square-shaped reliefs. The membrane’s unique design allows quick and easy installation – in and out in one day, flexibility to adjust to any room size and requires no waiting. This polypropylene membrane also allows you to waterproof your subfloor when you use ProBand accessories, available from WarmlyYours. With WarmlyYours’ installation kits, you can be sure that you have all the tools you need to install your floor-heating system. An insulating underlayment increases the efficiency of your floor heating system by preventing heat loss to your subfloor. Always recommended when installing on a concrete slab. 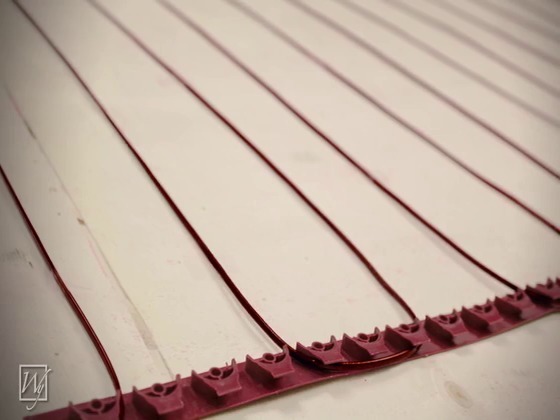 Our TempZone Floor Heating cable can be installed using either the Prodeso Membrane or Fixing Strips. The membrane cuts down on installation time and provides uncoupling benefits, while the fixing strips are more economical and provide a greater degree of design flexibility. How much does it cost to run an electric floor heating system? The answer to this question will depend on a whole host of variables, including, but not limited to, the run time (for supplemental heating, we usually recommend between 4-8 hours per day), the heating system you're using, the total square footage, and your local electrical cost. Typically, the cost is just a few cents a day. To figure out how much a floor heating system might cost to run for you, make sure to use our interactive Operating Cost Calculator. How does electric floor heating compare to central or forced air heating? Typically, electric floor heating is used as a supplemental heat source but in some cases, it can be used as a primary heat source. Electric floor heating is more energy efficient, less prone to spreading dust and allergens, and easier to control from room to room. Air-based heating systems can be used for both heating and cooling and can be a good way to control air quality in the home with regular maintenance. For a more in-depth answer to this question, check out this blog. 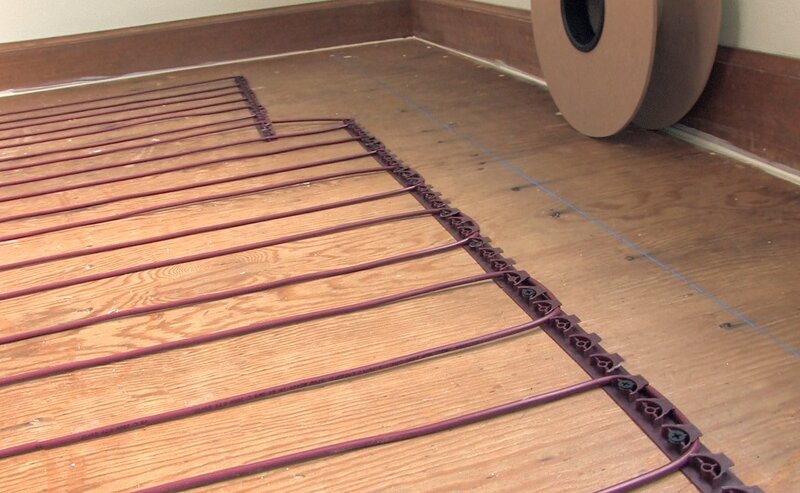 Do I have to replace my floor to install a radiant heating system? Yes. While there are some systems that can be installed beneath floor joists, most radiant heating systems will need to be installed beneath the floor itself. This is why the best time to install floor heating is during a remodel or as a part of a new construction, when a floor is being installed anyways. If you're interested in alternative radiant heating methods, check out our Radiant Panels, which are wall-mounted and use infrared technology to provide supplemental heating. 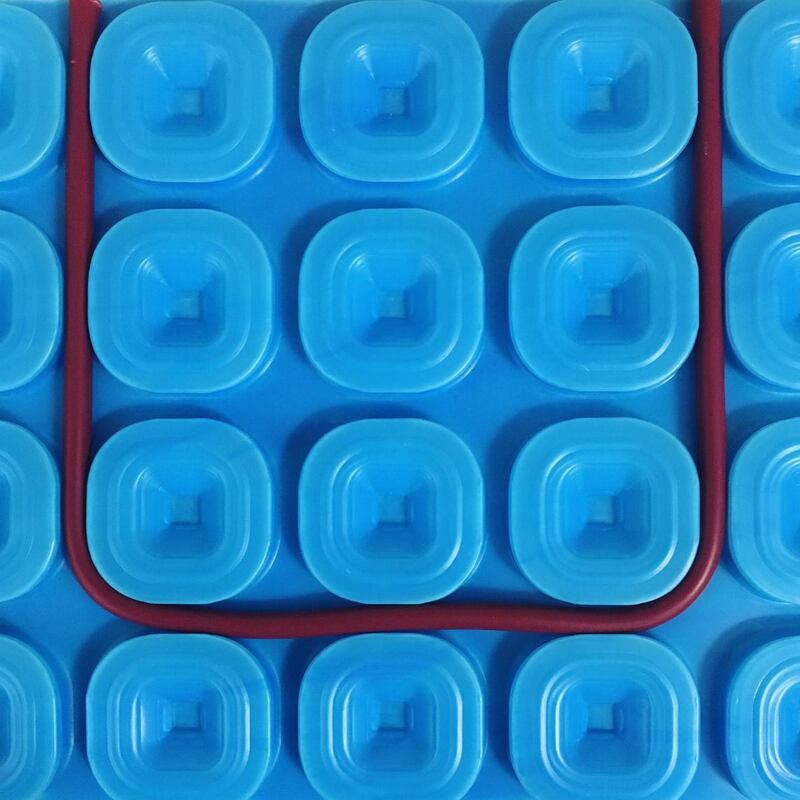 What’s the difference between hydronic (heated water tubing) and electric floor heating? Hydronic systems operate by using heated water pumped through tubing beneath the floor. Electric underfloor heating works with heated cables beneath the floor. Typically, hydronic systems are a good choice for new construction projects and electric systems are better for remodels or single rooms. This is because the high installation costs of hydronic systems (boilers, pumps, etc.) makes them cost-prohibitive for projects like a bathroom or kitchen. For a more complete answer to this question, check out this blogpost. How does electric in-floor heating work? These systems work by having an electric heating cable installed underneath the flooring (embedded or floating, depending on the system and floor type), which is then wired to a special thermostat (either one specifically designed for floor heating, like a WarmlyYours’ nSpiration Series control, or a third-party thermostat). When turned on, the heating cable emits heat upward through the flooring which is then radiated throughout the room, heating all solid surfaces. Will the installation of a TempZone™ floor heating system affect the height of my floor? The TempZone™ twin conductor cable present in our TempZone™ products is comprised of a double-insulated, coaxial heating cable. The total thickness of the system can be between ⅛” and 5/32” thick and will not noticeably affect the height of your installed flooring. What is the warranty for the TempZone™ floor heating system? WarmlyYours’ 25-Year No Nonsense™ Warranty is the most comprehensive warranty in the industry. In the event of a defect, we cover not only the repair or replacement of the TempZone™ system, but ALSO any labor AND materials required to perform the repair. What is the typical operating cost of a TempZone™ floor heating system? The actual cost of operating your floor heating system will vary depending upon a number of factors including the cost of electricity in your area and the length of time you run your system. The WarmlyYours TempZone™ Flex Roll electric floor heating system, for example, uses 15 watts per square foot. Based on a national average electricity rate of $.10/kW/hr, the approximate operating cost of an average bathroom using this system, measuring 8' x 10' would be between $.16 - $.21 cents a day. This cost is based on running your system a full 8 hours per day. Try our Operating Cost Calculator for a quick estimate. What is the WarmlyYours TempZone™ floor heating system? TempZone™ is an electric floor heating system that operates like an electric blanket for your floors. TempZone™ is covered in thin-set or Self-Leveling Underlayment, and is installed over the top of your subfloor and beneath your flooring. The system provides a warm, even temperature across your floor, generating floor-to-ceiling radiant warmth to transform these naturally cold surfaces into warm floors. Ideal for kitchens, bathrooms or any room in your home where you would enjoy radiant warmth and comfort, the TempZone™ floor heating system is easy to install, operate and maintain. Is the TempZone™ floor heating system safe? Yes. The WarmlyYours TempZone™ floor heating system has withstood rigorous safety testing by the Underwriter's Laboratory and has received UL listing for the U.S. as well cUL certification for Canada. WarmlyYours offers thermostats that carry the CSA Mark and the UL listing, which certifies that the product has been tested under extreme conditions and meets applicable standards for safety and/or performance in the U.S. and Canada. All WarmlyYours thermostats contain a Ground Fault Circuit Interrupter (GFCI) which provides fail-safe protection against an electrical shock. I have too much / too little of the TempZone™ product for the space I want to heat. Can I trim or add more heating cable? No. Never cut the heating cable. The floor heating cable is designed with a very specific resistance in order to consistently maintain heating at the chosen wattage per square foot. Trimming the heating cable would lower the resistance of the cable causing the system to overheat. Adding heating cable to the system would raise the resistance and the system would not heat properly. How many watts per square foot does TempZone™ deliver? The TempZone™ Flex Rolls, Easy Mats and Shower Mats are designed to deliver 15 watts per square foot (maximum allowed by the National Electrical Code), with the heating element positioned 3” apart on a serpentine loop attached to a fiber mesh. The TempZone™ Cable yields between 8-12 watts per square foot, variable, based on the cable spacing. TempZone™ Custom Mats are made to order, so the spacing of the heating element throughout the mat varies according to each specific design. The TempZone™ Custom Mats can yield from 12 to 15 watts per square foot. 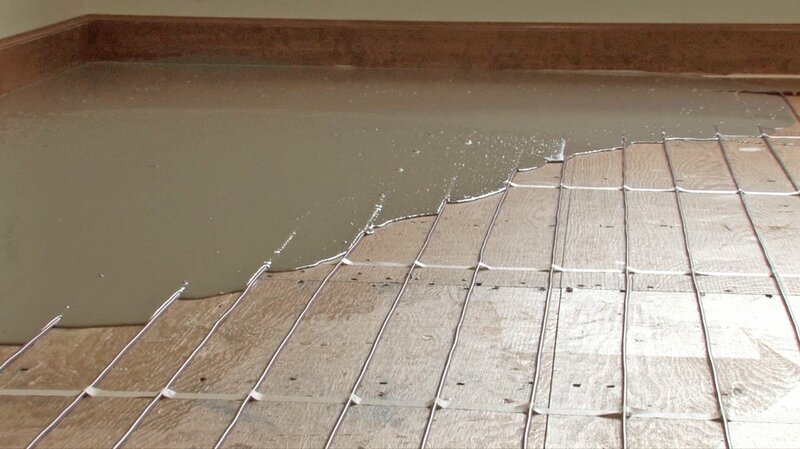 Do I need insulation when installing a floor heating system over a concrete slab? When WarmlyYours floor heating systems are being installed on a concrete slab, we strongly recommend adding a layer of insulation over the slab prior to installing the system. While our systems provide up to 25% more heating power per square foot than many of our competitors, the slab will always act as a "heat sink." Some of the heat that would otherwise be transferred to the flooring surface will remain in the slab, causing the floor’s surface temperature to be considerably lower. This is true with any floor warming system. 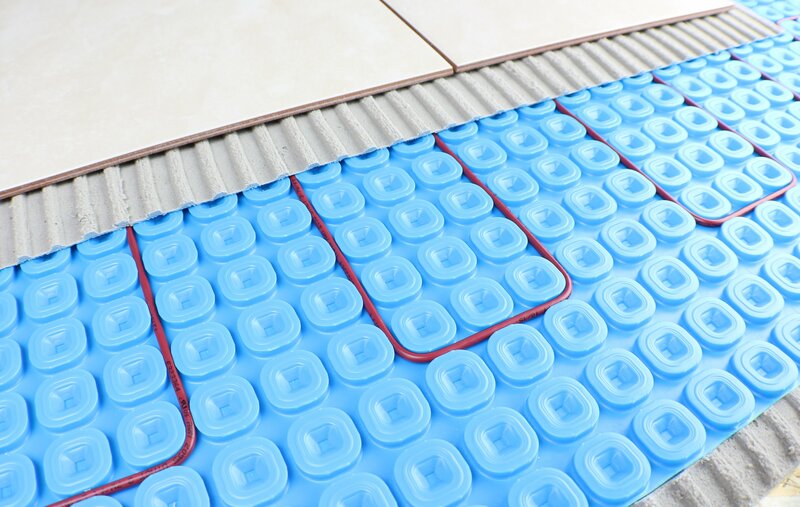 When installed on top of a concrete slab without insulation, it is generally accepted that a radiant floor heating system will take the chill away from the floor and provide a small amount of warmth. 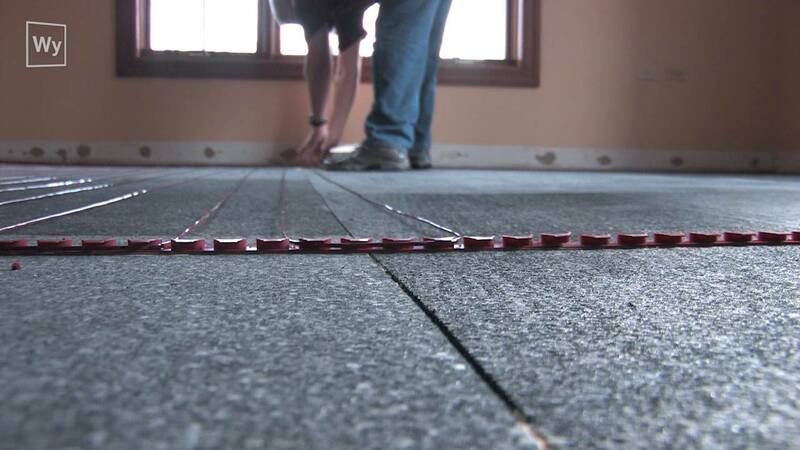 Adding insulation on top of the slab and beneath any floor heating system will allow a greater percentage of the heat generated to transfer to the flooring surface. This results in greater efficiency and therefore faster warm up times, higher expected surface temperatures and lower energy usage. The floor will have the capacity to warm to a comfortable temperature, and in some cases can be employed as the primary heat source for that room. 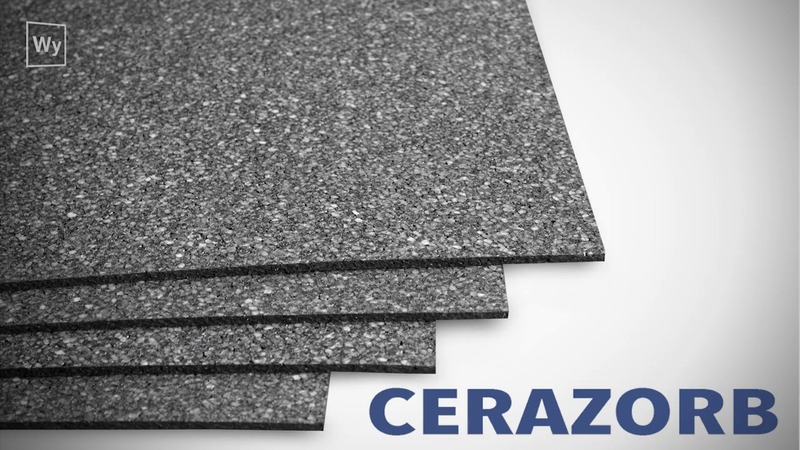 The recommended types of insulation are natural cork, insulated tile backer boards and insulated underlayment, such as CeraZorb synthetic cork. What voltage does WarmlyYours floor heating systems utilize? The floor heating systems are offered in both 120 volt and 240 volt for the North American market. A 208 volt breaker panel can also accommodate our 240 volt floor heating system. It is important to note that the energy consumption will be the same: a 240 volt system will not cost more to operate than a 120 volt system. You are billed in kilowatts, and the 120 volt and 240 volt systems use the same amount of kilowatts. WarmlyYours often specifies a 120 volt system in smaller projects while a 240 volt system is typically recommended for larger projects (120 square feet of electric floor heating coverage or more). The benefit of switching to a 240 volt system is the reduction in amperage. Our programmable thermostat can control a radiant floor system up to 15 amps. The 120 volt system will reach 15 amps at 120 square feet of electric floor heating coverage. However, the 240 volt system will reach 15 amps at 240 square feet of electric floor heating coverage, allowing a much larger system to be connected to the thermostat. For installations over 240 square feet, a relay contactor or power modules are needed. How do I work with my electrician to install WarmlyYours electric floor heating? While WarmlyYours systems are typically installed by your floor covering contractor, a licensed electrician is recommended for the final thermostat hook-up. With every quote, we provide an Installation Plan layout, together with an electrical plan that has all the info required for the electrician. What type of flooring can I install along with an electric floor heating system? WarmlyYours’ TempZone™ product is most commonly installed under tile, stone, and marble flooring, but can also be installed under many other popular floor covering options such as hardwood, vinyl and linoleum. We also have our Environ system, which is an electric floor heating product as well and is specially designed for installation under carpet (in the U.S. only), laminate and floating wood. WarmlyYours can accommodate any flooring type with either of the floor heating products that we offer. If your flooring type isn't listed here, just give us a call at (800) 875-5285 and we will be happy to discuss it with you. What temperature will my heated floor reach? The temperature of your floor can range anywhere between 75°F to 95°F. The floor's actual temperature will depend on a number of factors including the amount of heat loss that the room experiences as well as the room’s configuration. For instance, the warmth contained in a two story entry way would likely be less than that of a smaller, more enclosed area such as a bathroom. In a bathroom that is located on the second floor of your home or over another floor in your home that is typically heated, the temperature of your heated floor should easily reach a comfortable temperature of 85 degrees Fahrenheit, if installed correctly. For the heat loss calculation for your specific room, you can access the Heat Loss Calculator or you can call us at (800) 875-5285 and a Customer Service Representative will make the calculation for you. What is the total power/amperage that the floor heating system draws? Does this system need a dedicated circuit? The amount of amperage draw depends upon how large the area is that you are heating. For coverage of areas less than 30 square feet, the system will draw less than 3 or 4 amps. If you have a larger area over 120 square feet of heated space, then you may need a larger breaker plus additional controls. No matter what the size of the area you choose to heat, we recommend a dedicated circuit for your system. I have extra cold lead wire. Can I trim off what I don't need for my installation? Yes. 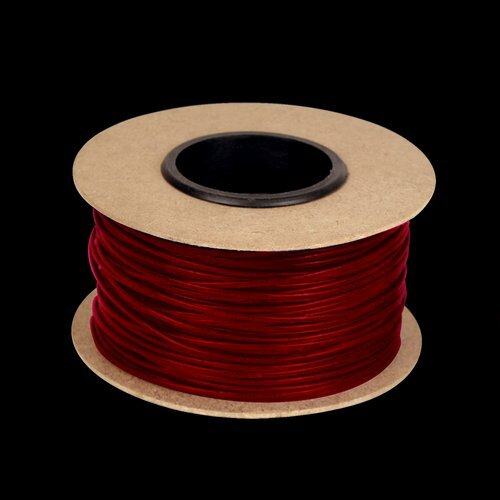 Unlike the heating cable, the cold lead wires can be trimmed or lengthened with additional lead wire which can be purchased from WarmlyYours. How will radiant floor heating affect my wood floor? WarmlyYours nSpiration controls are equipped with an in-floor sensor to precisely control the floor's temperature to comply with the wood manufacturer's temperature recommendation. How do I know if I am installing my floor heating system properly? Please keep in mind that you must check your system with a Digital Ohms meter in conjunction with a Circuit Check™. Take an initial reading as soon as you take the product out of the box to verify that it is within -5% / +10% of the values stated on the product’s label. This will give you a basis of comparison for future readings. Take a second reading once you have positioned the system to match your custom installation plan. It is also advisable to take an additional reading in the middle of the tile installation, just to make sure that the Circuit Check™ is doing its job. Then, take a final reading when you are finished with the floor installation and are ready to hook up the thermostat. The Circuit Check™ is a tool developed by WarmlyYours to give you peace of mind and ensure trouble-free installations. Simply hook up the cold leads to the tool while you position the system to match your custom installation plan. The Circuit Check™ will continuously monitor the continuity of the circuit during the installation of your system and during the installation of your flooring. The Circuit Check™ beeps immediately when a short in the system is detected, alerting you to a potentially damaged cable in the area you are working, before you lay the tile over the floor heating system. The WarmlyYours technical support team is available 24/7 to provide assistance if the alarm sounds, or if you would have any questions during your installation. Is WarmlyYours Safe? What About EMF? 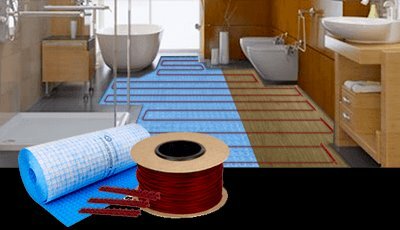 How can I determine what I need for my floor heating project? How can I find out what my floor heating system will cost? You can use the Instant Quote Tool, which gives you many options for your floor heating coverage. Use this interactive tool to design your room online and receive an instant quotation with product recommendations, rough-in and installation kits, cost of your control, etc. Planning your floor heating project is made easy when using our Instant Quote Tool. Send us your floor plan or fax it to (800) 408-1100 and we will send you a quote, product recommendation and a free custom installation plan for your project. Can I use a floor heating system as a primary heat source? Yes, in most cases, a floor heating system can be effective as a primary heat source. However, our TempZone™ and Environ™ systems are most commonly used as a secondary heat source, providing floor-to-ceiling radiant heat to any room in your home where you desire more warmth and comfort. If you are considering electric floor heating for an addition to your home, such as a sunroom where you have no other source of heat, WarmlyYours offers an innovative online tool which calculates approximate heat loss. This tool can help you to determine if a WarmlyYours’ floor heating system will provide your desired comfort temperature throughout the year. You can access the Heat Loss Calculator or you can call us at (800) 875-5285 and a Customer Service Representative will make the calculation for you. TempZone™ 3.7-Watt Floor Heating Cable achieved an average rating of 5.0 stars with 25 reviews by our customers. This is my second time using the WarmlyYours cable system to heat a bathroom floor, and will definitely buy again for future projects. It's not very often we can find an organization that offers superior customer service and a highly functional, economically priced product. WarmlyYours offers all of the above. My rep, Chad, is always there to provide an outstanding level of service helping me with the product and any advice needed - without any pressure. Really great to have a resource like you folks where I know I can return time and again. Thanks! Easy to install floor heating. The TempZone Cable electric floor heating was easy to install. Great product and fantastic customer service. Very easy to work with and install the heat exactly where you want it. The amount of cable you’ll need depends on the heat output and amount of heating coverage you want, both of which are impacted by the spacing of the heating cable. 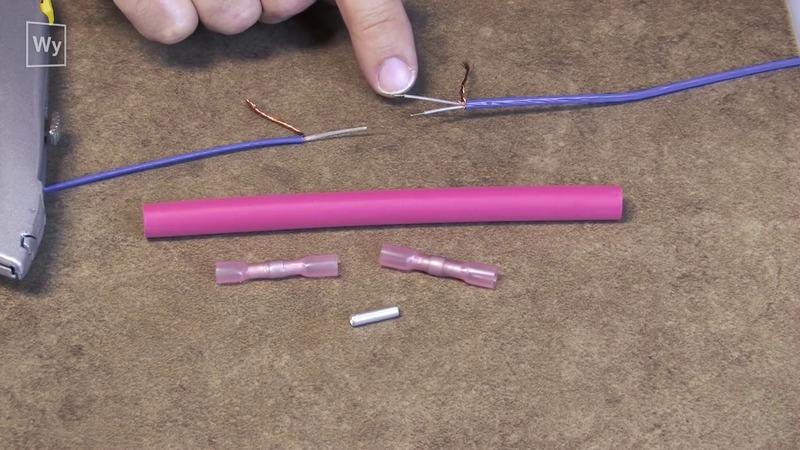 The spacing of the heating elements is dictated by how the cable is installed and WarmlyYours offers two different installation methods: with Fixing Strips or with our Prodeso Membrane. An economical option, requires more work than the membrane.